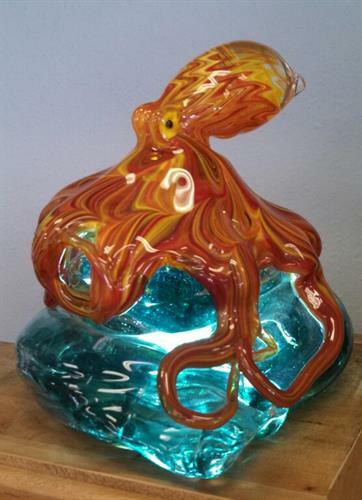 We are a glass blowing studio & gift gallery fueled by a passion for artistic expression in the glass medium. Stop by and watch us create amazing glass art or schedule a glass blowing class to create your own signature piece. Our gift shop is full of glass art ranging from beads and floats to lighting, wine goblets, platters, and Venetian glass sculpture. Looking for that custom wedding top? We can do that too. 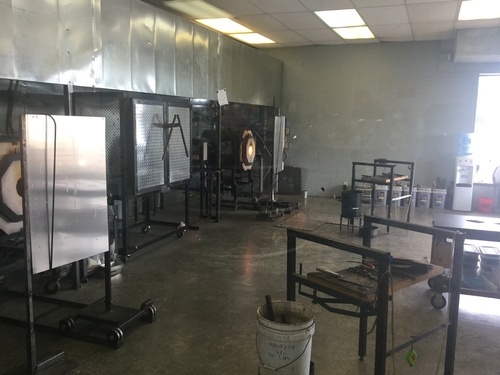 Our new location offers a larger glass blowing studio and more space for our gallery. Come see us today on the corner of Hwy 20 and Fogarty St on the eastern gateway into Newport. Six blocks east on Hwy 20 on the southeast corner of Hwy 20 and Fogarty Street. Entering Newport from the east on Hwy 20. We are on the left one block after the first stop light.